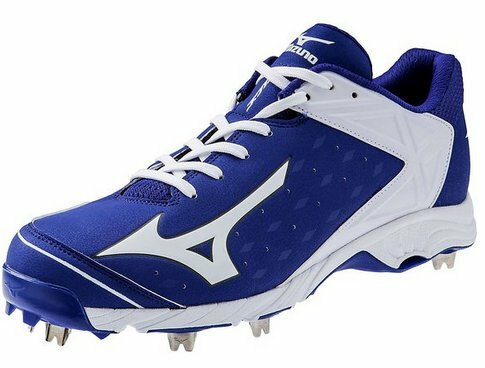 Mizuno 9 Spike Swagger 2 – How Good Are They on the Field? The Mizuno 9 Spike Swagger 2 is not your typical baseball cleat. It combines the latest technology with handcrafted design to give you the highest performance possible. Now it’s true that companies make a lot of claims for their products, but Mizuno has upped the ante on this one. As the review will show, the Swagger 2 is very different. I personally own a pair of these cleats and they are awesome! As I write this these cleats are one of Mizuno’s top models and many MLB players use them. They currently come in 16 different colors and tons of different sizes. Check them out now! The Mizuno Swagger baseball cleat first of all, has manmade soles. As any baseball player will point out, this makes a huge difference in terms of performance and comfort. In addition the 9-spike outsole was specially designed to give you superior traction. This is something that other cleats will find hard to match. One of the most common problems with ordinary cleats is they never provide the right balance between comfort and traction. The Swagger handles that pretty well here. In addition, the shoes have Proflex that enables the forefoot to flex in several multi flex zones. This is a feature you don’t usually see in baseball cleats. It’s a nice feature that goes a long way towards improving comfort and performance. The other thing that you need to consider is that the midsoles are full length so you receive as much comfort as possible. Mizuno has always been known for high quality baseball products, and the Swagger certainly lives up to this. The look, feel and design definitely make it ideal for baseball, and the padded tongue also helps a lot. These cleats are made for use on the baseball field. But as many reviewers have indicated the Swagger 2 also works just fine on a recreational softball field, making it a dual-purpose cleat. Besides the stylish design though, the Swagger is definitely something that a player will enjoy. It’s built to last so whatever you pay for it can be considered as bargain as these will last you several seasons. When you take all the features into consideration, it becomes clear that the Swagger 2 is built for serious and recreational play. The Swagger doesn’t just look good but it’s built for performance. It’s also worth pointing out that the cleats work well on both grass and turf. This is something that other cleats can’t handle well. Usually they’re good for one or the other, so that’s a big bonus. There are a lot of factors to consider when buying baseball cleats, but comfort and feel are definitely among the most important. In this regard the Mizuno Swagger metal cleats don’t disappoint. They’re also quite light when compared with others, so that’s a plus. The cleats have a stylish modern look and as many reviewers have noted, the Swagger 2 is breathable. One of the most common problems with cleats is they tend to be heavy and wear you down after a while. Mizuno made sure that won’t be the case here. If you have worn cleats before, you’ll be able to compare them with the Swagger. You’ll notice that these are so much more comfortable. The shoes fit well, and the fact that they’re breathable means your feet won’t feel like they’re locked inside and unable to move. This is one of the most important features of the cleats because not a few players have complained of aching feet after just a few hours wearing them. Mizuno is fully aware of the issue, and they’ve done a good job addressing that concern with this one. The shoes don’t just give your feet space to breathe, but it’s also nicely designed and just feels good. In addition, the lightness means you won’t need to force your feet that much when you use run, and it won’t wear you down. The Mizuno 9 Spike has several benefits including the following. Mizuno baseball cleats are very versatile and for the most part do what they’re supposed to do, but that doesn’t mean they’re perfect. Alex of Nebraska bought these cleats and pointed out that it’s exactly the kind of cleats that a competitive player will want. Alex also says that the Swagger isn’t slippery like other cleats, and it’s “versatile enough for serious or casual gaming”:. Robby of Philadelphia also wrote a review of the Swagger and points that the shoes are of “high quality” and works well not just for baseball but softball as well. Other positive reviews have also been written and published online, an indication of just how dependable they are. The Mizuno 9 Spike Swagger 2 is one of the most popular cleats today, and this review shows why this is so. The cleats have all the features you’re looking for such as comfort, style, traction and durability, and it’s versatile enough to be used by casual players and the pros. In other words if you’re after a dependable set of cleats for the game, then the Swagger 2 will do just fine. Vivian – I have a pair of these cleats and they are top notch. They are the best cleats I’ve seen so far in 2015.